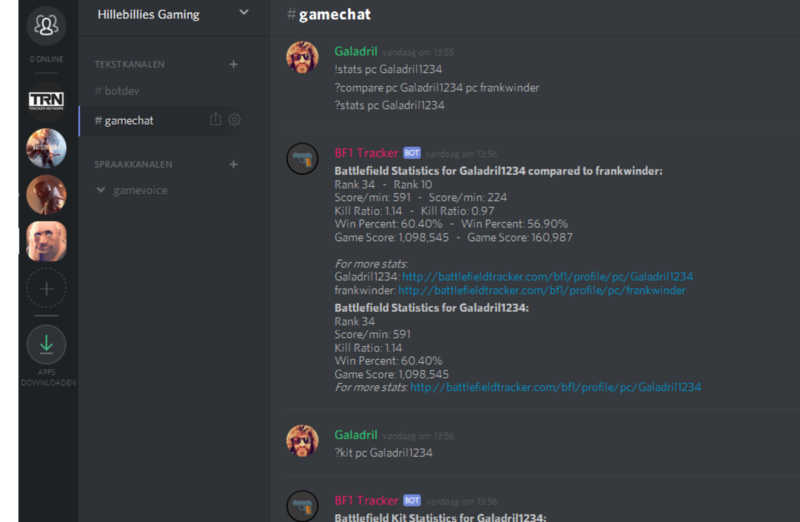 Check your Battlefield 1 Stats on Discord! Check all stats the medals, score, kill/death, and more! Check your friends stats in the discord chat! General overview of your stats, weapons, vehicles, dogtags and medals! Generate a personal banner with your stats on it!